The University Rafael Urdaneta (URU) is a non –profit private institution, officially authorized by the Executive Decree N ° 101 on May 21, 1974, It was created "in order to train the human resource necessary and qualified to face the scientific and technological advances" in the areas of strategic development of the country. Constituted by wide professional and managerial sectors of the civil society on October 24, 1973, it’s initiated its educational activities on September 4, 1976. The University takes the name of General Rafael Urdaneta (1788-1845), a leader of the Latin-American struggle for independence and example of civic virtues. Due to its location in a developing country, from its foundation, the University Rafael Urdaneta assumed an anthropocentric focus based on applied research closely linked to teaching even at the early undergraduate level. It is an autonomous institution defined by the National Constitution and the Law of Universities. The university community is characterized by pluralism and respect, founded on the rationality of his processes; the methodology of the sciences and the social relevancy of the knowledge orientate the production of learning. The integral conception of the person is assumed with cultural and sports activities inside of study’s plans. 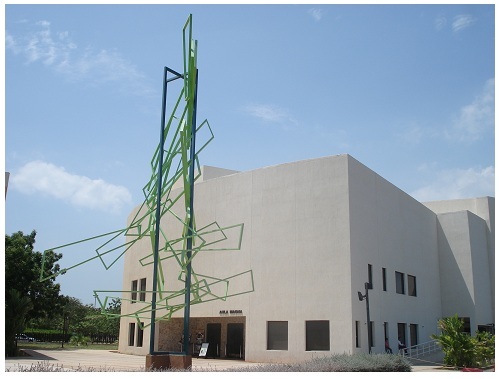 The exhibition and production of the arts also constitutes an essential center of the university activity. 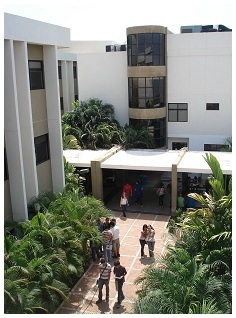 The Universidad Rafael Urdaneta has its headquarters in the city of Maracaibo, Venezuela. 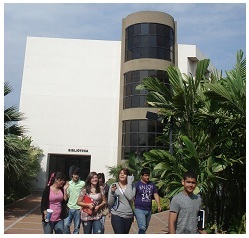 Until the year 2002 its headquarters was located in the campus La Retirada, in the zone northwest of Maracaibo. In 2002, URU moved its headquarters to the central zone of the city on Vereda del Lago Park and Lake Maracaibo. The new headquarters includes modern laboratories and technical equipment. In addition, scientific and cultural extension takes place in the Aula Magna, Forum of Art and Science, a multifunctional space provided for academic conferences, scientific conventions, specialists’ meetings, and artistic performances such as ballet, dance, opera, theatre, classic and modern concerts, and of any other kind of genre. From its foundation, the University Rafael Urdaneta has had three faculties of undergraduate studies: the Faculty of Engineering, the Faculty of Farming Sciences, and the Faculty of Political, Administrative and Social Sciences. The faculties include the schools of Electrical Engineering, Chemical Engineering, Civil Engineering, Engineering of Computation, Industrial Engineering, Engineering of Telecommunications and Architecture; the School of Engineering of Animal Production; and the schools of Political Sciences, Administration of Companies, Public Accountancy, Law and Psychology. URU also has a Graduate and Research Deanery, which directs the studies of fourth level and the pertinent researches in the areas of Education, Law, Psychology, Engineering, Administration and Management, Finance and Taxes, and Epistemology.